Circular Roadmap for PowerPoint is a flat design circular flow diagram. 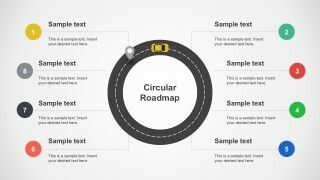 The circular roadmap diagrams are effective to present information of looping timelines in a visual form. Use them for timelines or schedules processes with cyclical nature, as well as other business or organizational diagrams requiring a loop. 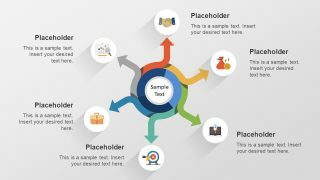 Simultaneously, the template provides circular roadmap models in 4 steps, 6 steps, and 8 steps. 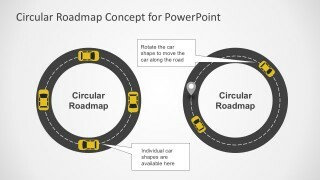 Use the circular roadmap diagrams in PowerPoint with awesome car shapes and a road metaphor. Other than the available car vectors provided, the presenters can move or rotate the cars in the roadmap. With each movement, it may represent a milestone or a particular stage of the project plan. Fill in the editable text placeholders that go along the roadmap design. 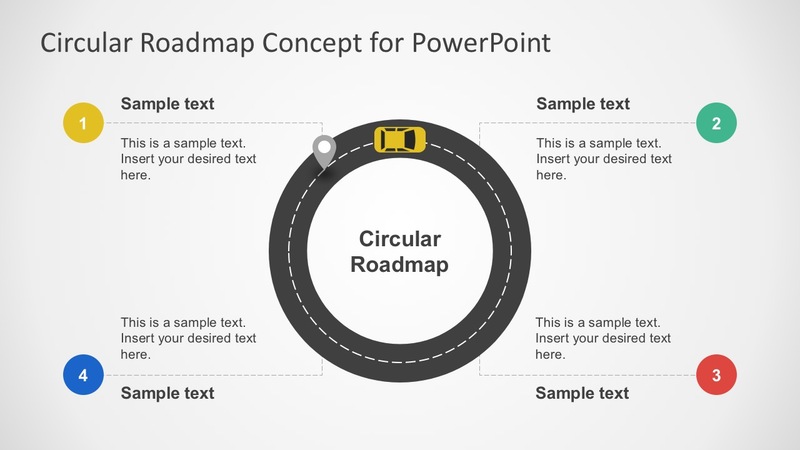 This Circular Roadmap for PowerPoint is as well useful to create market pathways or step by step instructions. 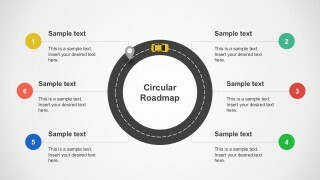 Circular Roadmap template has four easy to edit PowerPoint slides. 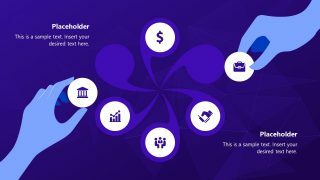 The high-quality flat style PowerPoint design has been carefully created from individual vectors. Take advantage of this completely editable roadmap template. 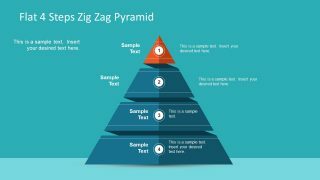 Alternatively, the comprehensive gallery of templates for PowerPoint has over thousands of charts, graphs, diagrams, graphics, concepts, backgrounds, hand-drawn graphics and more. 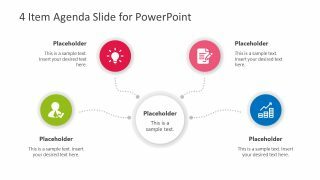 Use them to make an awesome roadmap timeline in PowerPoint highlighting cycles, steps, or chronological events.